Bordering the River Wash, this former fish breeding farm offers a well-proportioned detached bungalow set within approximately 6.5 acres of glorious . . .
A 3 bedroom end terrace house on a smart cul de sac and within walking distance of the facilities provided at sought after Wellswood. The local amenities . . .
On the instruction of the TDA on behalf of Torbay Council: A detached 3 bedroom bungalow enjoying a level site, good size garden, with swimming pool, off road . . .
Meadfoot Grange is a fine 2 double bedroom ground floor flat with its own private outside space. Offering lofty ceiling heights, fine period style detailing . . .
A well-presented low maintenance 2 bedroom home in a quiet location conveniently close to Torquay town Centre. This easily run property has been maintained to . . . This excellently presented 3 bedroom semi detached bungalow has been the subject of a comprehensive programme of modernisation and upgrading. The accommodation . . .
Of interest to Developers and Investors - Offices (approx. 241m2) with consent for 3 residential units on the fringes of St Marychurch. A well-presented 1-bedroom bungalow on a level plot. Convenient location. No onward chain. A semi-detached modern bungalow in a convenient location approx. . . .
Auction 15th June Guide Price £85-95000 A generally well presented, spacious first floor apartment with a modern kitchen and bathroom with views over . 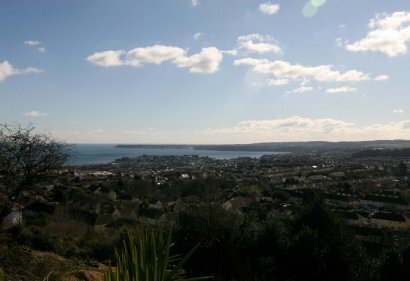 . .
A conveniently located first floor flat a short distance from Torquay town centre, harbour and seafront. Avenue Lodge is a small development of apartments . . .